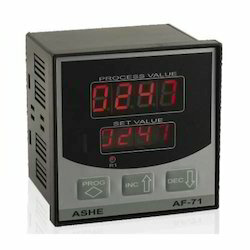 Our range of products include digital indicator, rpm indicator and process indicator. By keeping track with the market development, we have come up with a high-performance range of Digital Indicator. The digital indicator may be battery powered or mains powered using the standard power adaptor supplied. The power adaptor is intended for worldwide use and has four interchangeable plugs to suit all regions. 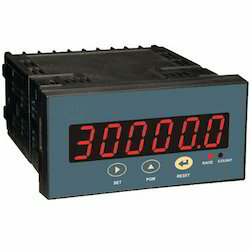 The unit can operate on 110 volts or 230 volts at 50Hz or 60Hz. With our rich industry knowledge and experience, we are engaged in providing our clients a high-quality range of RPM Indicator. This indicator is designed and manufactured under the stern surveillance of our handy professionals using the utmost quality raw material and ultra-modern machines in tandem with industry quality norms. The offered indicator is ideal to be fitted in filters and is available in enormous specifications as per the requirements of our prestigious clients. 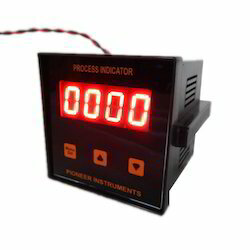 Pioneer in the industry, we are engaged in offering an impeccable range of Process Indicator. The only high-quality raw material is used while manufacturing the offered range, for increased compliance with industry standards of quality. This array is highly appreciated among customers for its excellent finish and unmatched quality. Apart from this, our product is offered in different specifications and can be customized, as per precise requirements of our clients and at highly competitive prices. Looking for Electronic Indicator ?